Everyone has their blind spots. Mine is JD Salinger. I reread the nine stories this weekend, and most of Franny and Zooey, and I loved them so much, again. I had a strange experience with Byron the other night. There was an hour to kill before a dinner party in Chelsea and I went into a pub and started reading Don Juan. After half an hour I couldn’t believe how absolutely marvellous it was. I knew I liked Don Juan but this was oh, something of a completely different order. By the time I had to go I was looking round the pub wanting to say, ‘Has anyone here got any idea how wonderful “Don Juan” is? This is a bit Rich, coming from Joan Didion, but it is unassailably true. I don’t care though, and neither should you. I need to have my essential triviality flattered. I enjoy it very much, and I believe that everyone else would enjoy it too. I try to press these books on people without success. There are some obvious parallels to be drawn here. 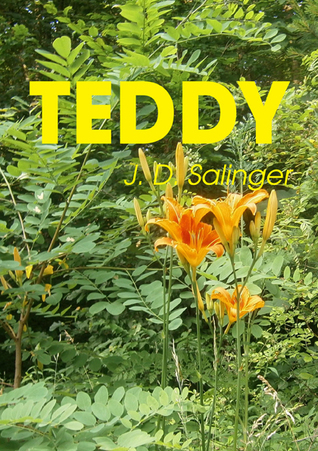 People in JD Salinger are always pressing food on those who don’t want to eat it: the brother in “Eskimos” tries to get Ginnie Mannox to eat half a chicken sandwich; the waiter and Lane Coutrell try to get Franny to eat another chicken sandwich in Franny; Bessie Glass tries to get Franny to eat chicken soup in Zooey; and the narrator in “Esme” offers the titular girl a bite of his cinnamon toast. She declines: “I eat like a bird, actually.” The brother in “Eskimos”, especially, is insistent that she have at least a small bite of the chicken sandwich. He keeps telling her how good it is, and she keeps, for some reason, not wanting it. He doesn’t understand why she won’t just try.This is how I feel about people who refuse to love Salinger. They won’t even try. Accept this book. You’ll love it. Just admit.